The latest analysis on the implementation of the Joint Comprehensive Plan of Action following President Trump's decision to violate and withdraw from the nuclear deal. 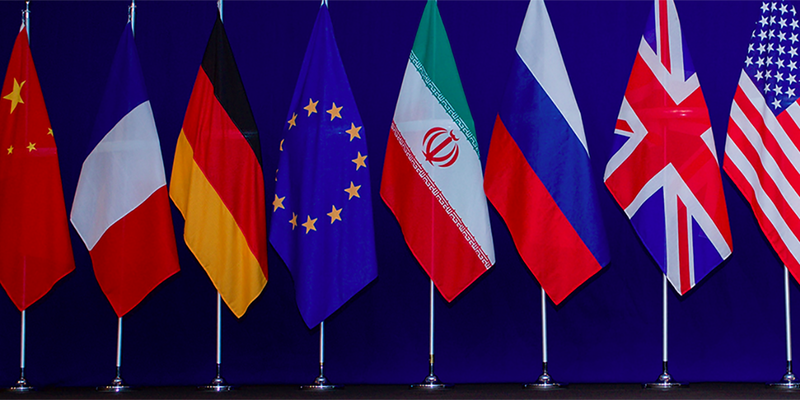 As time winds down to the May 12 deadline President Trump set for negotiating a “fix” to the nuclear deal with Iran, Washington’s P5+1 partners are warning Washington of the consequences if the deal collapses. The JCPOA Joint Commission met for its first full meeting since Trump's threat to pull out of the deal unless so-called “flaws” are corrected. Director General Yukiya Amano reports that the IAEA has access to all needed locations. Russia vetoed a resolution condemning Iran for failing to implement an arms embargo on Yemen, and more in this issue. U.S. and E3 officials discussed Iran’s ballistic missile program and Trump's demand for a “supplemental” agreement. Security Council members visited Washington to discuss purported Iranian noncompliance with Council resolutions. The International Crisis Group released survey data from multinational companies pursuing business opportunities with Iran, and more in this issue. Mogherini and Tillerson discussed the EU's continued support for the JCPOA ahead of several key dates. Ayatollah Ali Khamenei reiterated that Iran would not develop ballistic missiles with a range exceeding 2,000 kilometers. The IAEA’s most recent quarterly report on Iran’s nuclear activities point toward Tehran’s compliance with the JCPOA, and more in this issue.